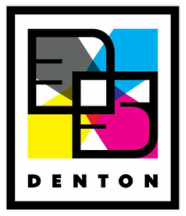 is a 3-day, award winning music festival programmed in the burgeoning arts corridor in downtown Denton, TX--March 13-15, 2015. The festival creates an intimate exchange between artist and attendee that cultivates a bond within our community. 35D programming is an eclectic mix of new artists on the cusp of the mainstream as well as larger legendary performers; a mix of local DFW as well as national touring acts. BACK TO THE MUSIC 4: 35 DENTON 2015 from 35 Denton on Vimeo.